When dealing with customers, clients or leads, it can be quite difficult to stay on top of all the data your business amasses. Especially in the digital age — now that organizations have to manage websites, social media channels, and online sales, its hard to wrap your head around the data and stay organized. Well, that’s exactly where Customer Relationship Management (CRM) solutions come in. For decades, organizations have been relying on CRM tools organize data, qualify leads, and provide insight into overall business processes. Whether your organization is focused on sales and marketing, or supporting those purchases, CRM is almost necessary to help your teams stay organized and laser focused. Over the years, as technology has grown and evolved, so have CRM solutions. Cloud computing has revolutionized the way organizations purchase, implement and utilize business tools, and CRM is no exception. But, you may still be wondering: what exactly is CRM, what does it entail, and why does my business need it? We’ll make our way through each of those one by one. Customer relationship management (CRM) encompasses quite a bit. Essentially, CRM refers to the practices, protocols, and technology used to develop, sustain, and manage customer data and interactions throughout the customer lifecycle. Customer Relationship Management = The practices, protocols, tools and technologies utilized to help develop, maintain and manage customer data and interactions. As technology, business trends and customer expectations grow throughout the years, CRM solutions and tools have too evolved to keep up. CRM software in 2018 is geared towards customer engagement. Customers armed with mobile devices and accustomed to digital technology customized to their tastes and behavior expect the same experience when dealing with companies. A common misconception about customer relationship management (CRM) is that it is outdated technology. This belief often stems from certain experiences in the 80s or 90s when company data was stored in large, clunky corporate servers and CRM software was complex and prone to error. To them, it may come as a surprise to learn that CRM software is still around. In fact, not only is it around, but the industry and its products are doing better than ever. The CRM market is valued at over $37 billion and it’s expanded by over 12% every year since 2011. With the advent of cloud computing, CRM was transformed and revitalized. Solutions are now less expensive, easier to configure and maintain while managing to offer even more functionality than ever before. Among modern business software, CRM software is one of the best enablers for companies to meet modern customers’ expectations consistently, efficiently, and cost-effectively. Hundreds of thousands of companies both large and small rely on CRM software to consolidate customer data and automate busywork in customer-facing operations. Why Should My Business Bother? Modern CRM solutions enable companies to collect and store customer data — demographic data, interaction history, individual tastes and needs — in a central location, through the cloud. This alone makes modern CRM solutions much more accessible than they’ve ever been. Since the solutions do not require costly on-premise hardware or installations, Cloud based offerings are much more cost effective while still managing to offer the functionality even an Enterprise organization would expect from an on-premise equivalent. As with most modern business software, CRM solutions can of course integrated with other business tools to help organize and stay on top of data, while improving employee efficiency and productivity. Does your business handle and utilize customer data? Is your customer data hard to locate, or analyze due to poor organization? Does your organization’s customer service meet expectations and leave clients satisfied? Is your team looking for a better way to qualify leads and leverage data? The overarching goal is to provide companies with a scalable solution that personalizes customer engagement in a digital format. This enables an organization to provide the individuality and personal experience one might expect as a regular at a mom-and-pop store. Should that customer walk into a physical retail location, a properly-equipped associate could leverage company data to personalize engagement with a person they’d never met before in their life. CRM software is also configurable to a company’s sales processes and organizational structure. A well-implemented system allows workflows to automate system processes so end user or customer actions trigger data exchanges for both personalized response and database updates. Furthermore, CRM is essential for an omnichannel operational strategy, which aims to provide customers with seamless experiences whether they’re in-person, on a website, in a mobile app, or interacting via email, calls, web chat, or SMS. CRM software aims to manage customer communication and interactions throughout the customer lifecycle. In other words, separate operational departments should have a complete picture of customer behavior and tastes. CRM software extends over marketing, sales, and customer service. In addition, since the shift to the cloud, niche solutions for specific operational use cases have emerged. Solutions for marketing automation, sales force automation, and helpdesk ticketing also fall within the CRM umbrella; some of them are tailored specifically to businesses of a certain size, industry, distribution model, and so on. These niche Customer Relationship Management systems are typically capable of data and process integration with larger, more established CRM products that continue to have customer engagement and a ‘360-degree customer view’ as an end goal. CRM solutions are also able to integrate with social networks and mobile platforms, allowing for the emergence of specialized functionality for social CRM and mobile CRM. There is a wide variety of CRM products that can be configured to specific use cases. Marketing Automation — Marketing automation software provides tools for lead generation, in particular for inbound marketing — content management, custom landing pages, calls-to-action, website tracking. It will also provide lead qualification and scoring capability. Marketers can nurture leads using email marketing campaigns. Most solutions integrate with a wide range of communication channels, including email, calls, and social media. Sales Force Automation — Sales force automation, also known as sales automation, provides pipeline management, sales forecasting, sales process management, and performance analytics tools. A core focus of sales automation is to reduce repetitive work like data entry or number crunching. Sales automation solutions are highly varied and can be configured for specific use cases like inside sales or social sales. Customer Service Helpdesks — Helpdesk ticketing solutions automate the work of customer service agents operating through call centers, email, web chat, SMS, or social media. Helpdesk software also enables companies to build customer self-service resources like knowledge bases or community forums. Agents using canned responses, macros, ticket routing, and escalation rules can improve customer service quality and consistency while reducing agent fatigue. While a niche solution will provide functionality in one or two categories, a full-featured CRM system will provide a wide range of integrated functionality in all three, and deeper configurability, to meet customer engagement goals. CRM products from enterprise vendors are typically implemented through system integration partners who assist in customization of the software to your company’s use case — industry, distribution model, number of users, related business tools, and so forth. Now that we’ve gone over the purpose and intention of customer relationship management software, you might be wondering what it does from the end user’s perspective. Of course, the features available to end users tie into the broader business benefits of the software. As CRM systems arose from contact management systems, you can expect any software in a CRM ‘bucket’ to offer a few common benefits and features in addition to the specialized functions described above. 1. Contact, Task, and Schedule Management. CRM software will organize an end user’s contacts, tasks, and schedule based on what’s been entered into the system. Certain solutions streamline this by allowing contact importation from third-party software, webmail clients, or via CSV file and third-party calendar sync. Tasks can be created and assigned to and from other users; the CRM will organize and prioritize them by deadlines. Much of this data is also exportable in reports. 2. Automation of Routine Actions. CRM software can be configured to greatly reduce the number of clicks required to perform routine but essential functions. On the basic end, this includes record updates, task creation and assignment, report creation, email logging, or sending notifications. On the more complex side, this includes configuring data or process integration so an update in one type of software, such as billing, will update the master data contained in the CRM. This reduces the need for redundant activity simply to keep the data fresh. 3. Activity Tracking. CRM software will track the activity of its end users and update this activity in a feed. The activity feed keeps team members and managers in a department on top of what their colleagues are doing, whether for collaboration on shared projects or for managerial oversight and process alignment. 4. Master Data Management (MDM). Comprehensive CRM solutions offer the opportunity to consolidate customer data from various unconnected databases into a single ‘master copy’. This will be the real-time data that other applications call upon. Effective data management comes as the result of training and reinforcement, proper CRM implementation and integration with other apps, and deployment of solutions for data auditing and deduplication. 5. Personalized Customer Engagement. Businesses that successfully implement, integrate, and govern their CRM solution, onboard employees, and exercise proper data management will be able to leverage a growing body of customer data to personalize engagement on every channel for every kind of interaction. 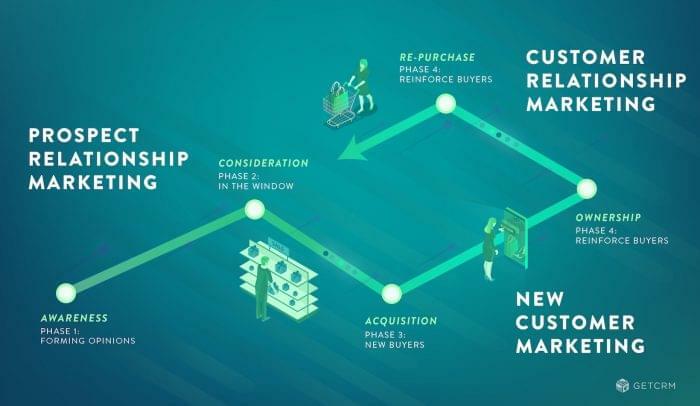 From generating, nurturing, qualifying, and scoring leads, to guiding leads through the sales funnel and managing the post-purchase experience, your customer data will become an actionable asset critical for meeting and surpassing customer expectations. There are a lot of options for Customer Relationship Management software. Most solutions are immediately accessible through the SaaS model. Whether you’re looking for a comprehensive customer engagement CRM or a specialized niche solution, there are a few characteristics you should keep in mind when shopping. Scalability — Your CRM system should be able to grow with your company. This is a key advantage of SaaS CRMs, as the servers, maintenance, upgrades, updates, and physical security are handled by the cloud host. These CRMs are often offered via tiered subscriptions priced according to the number of users. Subscribers don’t need to overinvest in capabilities or scale, or worry about their growth outpacing their CRM system. User Experience/User Interface (UX/UI) — The UX/UI of your CRM relates to training requirements, user adoption, data management, ease of implementation, and overall ROI. It’s an undervalued but important aspect of business software. Customer relationship management software is increasingly offered with user interfaces reminiscent of commercial apps to improve usability by non-technical end users. This shortens the learning curve and reduces the chance for user error. User Permissions — Companies can manage end user access to company data or sensitive configurations by restricting it through hierarchical user permissions. This also simplifies the end user experience by granting users access only to data and functions relevant to their role. This protects company assets, preserves configurations, keeps governance to qualified users, and maintains data integrity. Integrations — No CRM provider will fulfill your entire business needs. You will require data and process integration with your related business tools, like e-commerce or billing platforms, or partner applications to extend CRM functionality. Some CRM solutions provide native integrations with a wide variety of partner applications; most provide access to a developer API to build custom applications, which is more labor intensive. Configurability — A CRM system must be flexible, which refers to its configurability to a company’s business processes and integration needs. A well-implemented system should be installed according to a company’s unique requirements by experienced IT professionals using a systems development lifecycle (SDLC) methodology. Configurability also refers to the ability to create custom workflows that automate data exchanges and streamline end user activities. For companies with highly specific business needs, configurability factors towards how effectively a particular solution will fulfill your use case requirements. Master Data Management — A comprehensive CRM system will centralize your customer data so that related business tools integrated to the CRM will refer upon it as the ‘master copy’. Master data management is crucial to CRM optimization and any omnichannel strategy. For example, updates from the billing system should become accessible in real-time to a customer service agent dealing with the purchaser. Master data management in a robust CRM solution will provide the much-touted ‘360-degree customer view’ necessary for modern customer engagement. Analytics and Reports — All types of modern CRM software are able to track their respective system activity and provide analytics on operational performance, efficiency, forecasts, and ROI. Certain solutions have extended their analytical capabilities with artificial intelligence integrations that trawl through vast data sets to detect hidden trends, compare company performance to industry averages, offer real-time adjustments, and more. Mobile App — Companies with end users that require access to CRM data and functions while outside the office — whether working remotely or on a sales call — can update their account through their CRM software’s mobile app. Certain apps leverage the capabilities of mobile devices, such as its GPS, camera, and call/SMS logs, to offer geolocation, record imports, business card scanners, and record importation. Do I Need a CRM Administrator? If you’re looking to implement a CRM system in a large organization, it’s likely your requirements are complex enough that the out-of-the-box software won’t be an ideal fit for your use case. You’re going to need someone, or a small group, to interview stakeholders in your company to determine requirements and negotiate with the vendor to determine the best fit for your company. It’s not merely a matter of features, but also implementation strategy, which includes a timetable for incremental deliverables and governance. The level of vendor support is a factor. In addition, if you are working with a system integration partner — which is often the case with enterprise vendors — you’re going to need someone to keep them accountable when configuring the software to your needs. This person may be your CRM administrator. It may be an outside consultant you hire for the implementation process, which may require several months or up to a year. Smaller companies with simpler processes may find themselves up and running in a few months or less. Either way, once the system is configured, you’ll need someone to manage user permissions, test new configurations and workflows in a sandbox environment, oversee employee onboarding sessions to improve user adoption, and so on. This requires specialized experience in the specific CRM software you’re using. If you’re using a niche solution for simpler processes, you may be able to train an existing staff member to administer the system. However, as your company and requirements grow, the CRM administration will become increasingly time intensive. Any employee in a dual role between their normal job and CRM governance will find their position increasingly untenable. In short, if you’re looking to get the most return on your CRM investment and you have growth ambitions, you should hire someone whose focus is to learn, maintain, and govern your CRM system, if not assist in its implementation. Even CRM software that’s been successfully implemented and effectively governed will face challenges with low user adoption and poor training. Companies using brand-name, enterprise vendor CRM systems still experience difficulty getting end users to input their data into the CRM. A poor user experience can result from the user interface; it can also result from end users becoming frustrated with a complex system and overbearing data entry requirements. The way to improve your CRM software ROI in these cases is to limit the manner in which end users are required to input data. Instead of using free text fields, use drop down fields. Establish data entry standards on punctuation, abbreviations, and other naming conventions — less ambiguity means users can remember one clear method. Hold an initial onboarding sessions guided by your CRM administrator, or someone familiar with the software who is able to explain it in non-technical terms. Hold refresher courses at intervals as needed — once every month or two months — based on what end users are struggling with. There are some signs to recognize when you should change your CRM software. But you can often ‘change’ back to the same system — clean out bad data, reconfigure your automations, retrain your employees — rather than jump ship entirely. 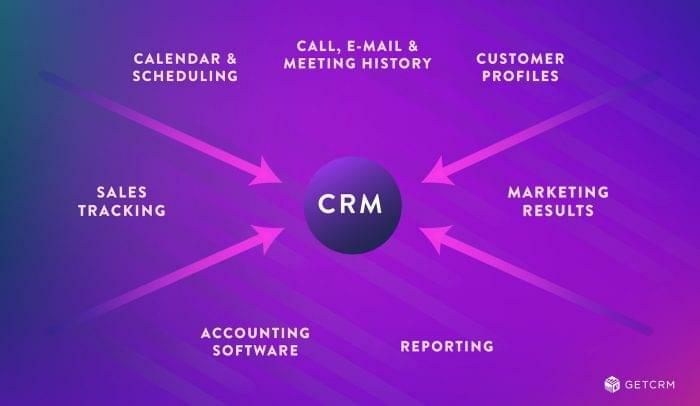 CRM software has the potential to enable and accelerate your business operations in a very drastic way, by enabling your organization to organize, segment, maintain and analyze customer and lead data. With the rise of Cloud Computing solutions, CRM has become more accessible than ever both with more cost effective solutions and implementation simplicity — however that doesn’t mean the buying process is without its learning curve. 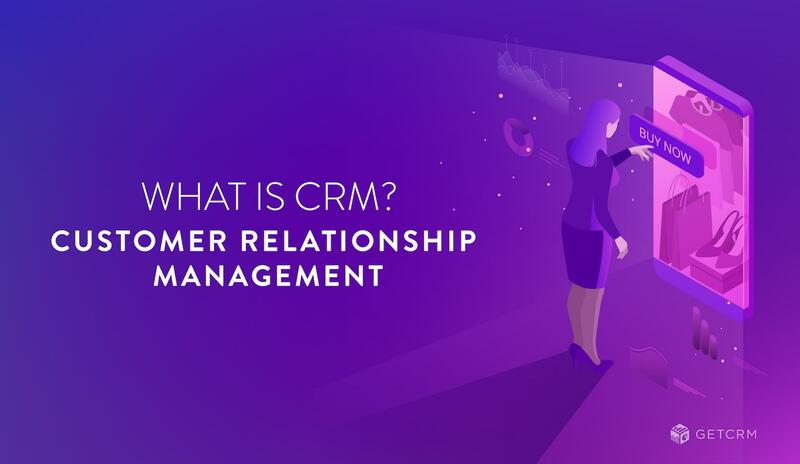 This quick guide should help your organization understand what is crm, what is the key role of a CRM solution, and even some potential requirements behind them. If you’re in the market, check out our comparison guide for customer engagement CRMs, marketing automation, sales automation, and customer service helpdesks.